We care about our staff as much as we care about our residents. After all, if our staff are happy our residents feel happy to be around them. 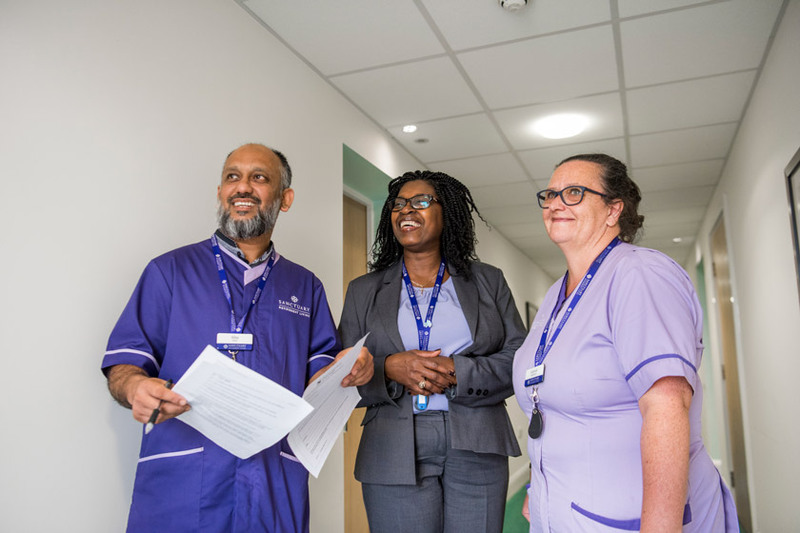 Every member of staff plays a part in our successes and we nurture and reward excellence through comprehensive training, benefits and career development opportunities. We recruit talented people who genuinely care about our residents. We are also a Disability Confident Employer, which means we are actively looking to attract and recruit disabled people. To find out more about this, please see the Sanctuary Group website. Click on a featured job below or Find a vacancy, and search for a role by job title, location or job type. When you’ve found your ideal job, click ‘Apply now’ and you’ll be prompted to log in or create an account. We’ll ask for some personal information and experience, and you can also upload your CV and covering letter. After you have set up your account, you can log-in any time to change your details, progress your application, apply for a job, check the status of jobs you’ve applied for and manage your applications. By having an account, Sanctuary’s Recruitment team can contact you when any new relevant jobs come up. If you have any questions, please contact the Recruitment Team by emailing resourcing.team@sanctuary-housing.co.uk. If you have any questions about a vacancy you’ve seen advertised on our website or social media pages, call the service on their local number and ask to speak to the manager. Alternatively, you can contact Sanctuary’s Recruitment team by emailing resourcing.team@sanctuary-housing.co.uk. We regularly attend recruitment events across England, where you can speak to our teams and find out more about working with us. To see if we’re attending a recruitment event near you, view our upcoming Sanctuary Group careers events. Care and Support Worker Carron Lawrence, who is based at Sanctuary Retirement Living’s Wimborne House in Gravesend, is committed to helping residents remain as independent as possible. Part of her job is to work with the residents in their own homes, following bespoke support plans to make sure they live their own lives in the way they wish. Activities Co-ordinator Jackie Croxford takes pride in ensuring residents have full social calendars. With 20+ years of service at Sanctuary, Steph Brooks has been integral in shaping our services. 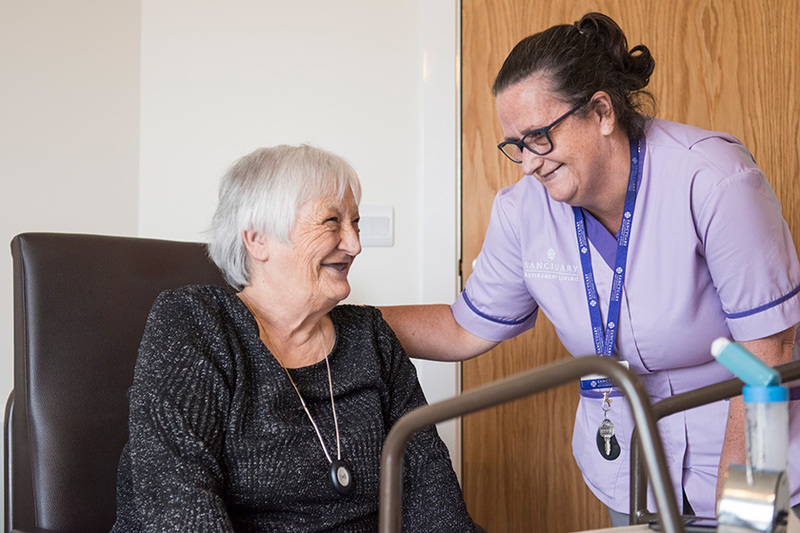 Care and Support Worker Carron is committed to helping residents remain as independent as possible.